I have been itching to get back into the craft room since creating my design project for Miss Kate Cuttables. And one of my favorite company's stamps to work with is Newton's Nook. So I had to join in the newest challenge they have. 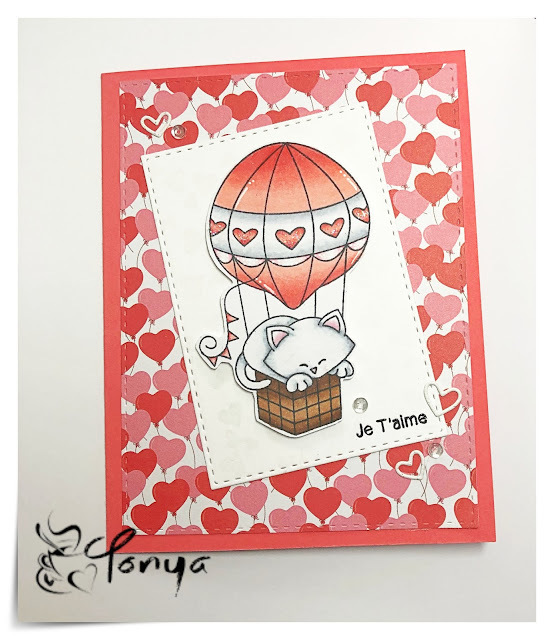 I created a sweet card using Newton Dream of Paris stamp set. I stamped the image on X-Press it card stock and colored with Copics. 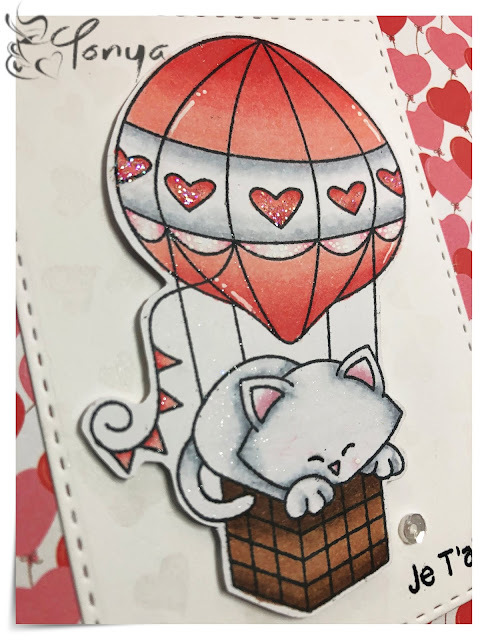 I fussy cut the image out and added some accents, such as Stickles dry glitter to the hearts, white gel pen, and Spectrum Noir glitter pen. 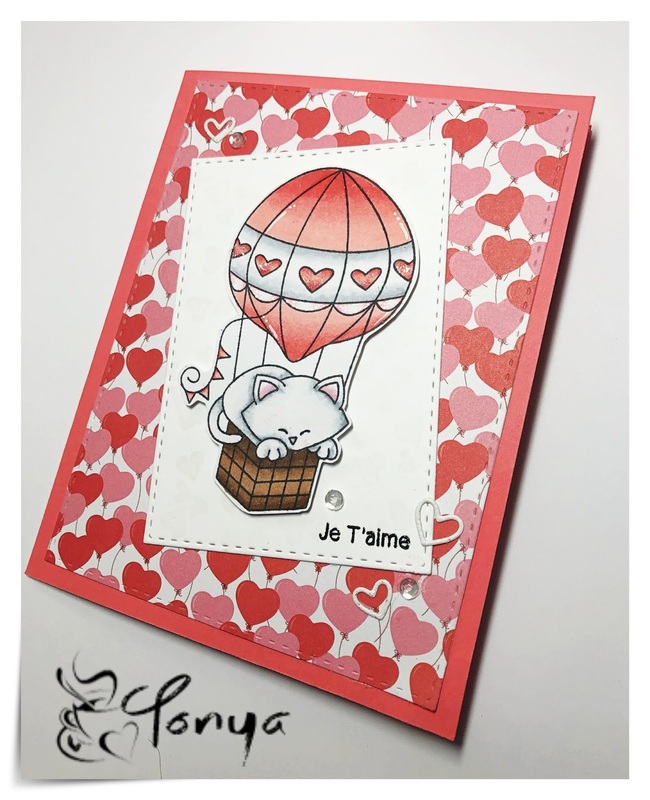 I cut a piece of PTI Stampers White card stock with a Simon Says Stamp stitched rectangle die, then stamped it with the hearts from the Newton stamp set with Versamark ink to create a tone on tone background for the image to sit on. I cut a piece of patterned paper with a larger Simon Says Stamp stitched rectangle die and attached it to a PTI Berry Sorbet card base. 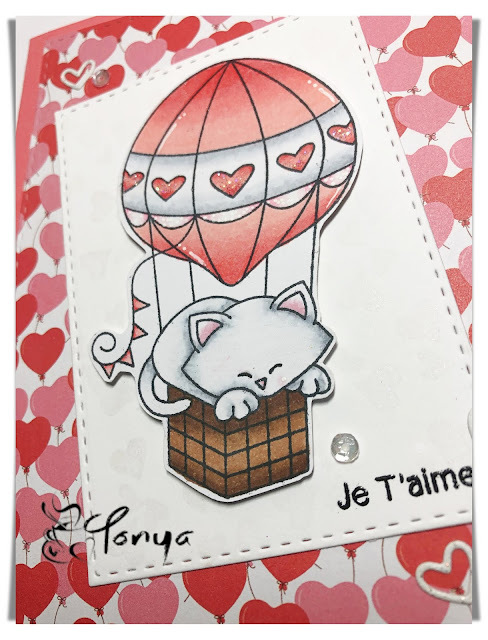 I heat embossed the sentiment from the same stamp set and popped the image up on foam tape for a bit of interest. A few Pretty Pink Posh clear sequins and some hearts cut with a Simon Says Stamp die and glitter card stock finish off the front. For the inside of the card, I used the large stitched rectangle die to cut another white panel. 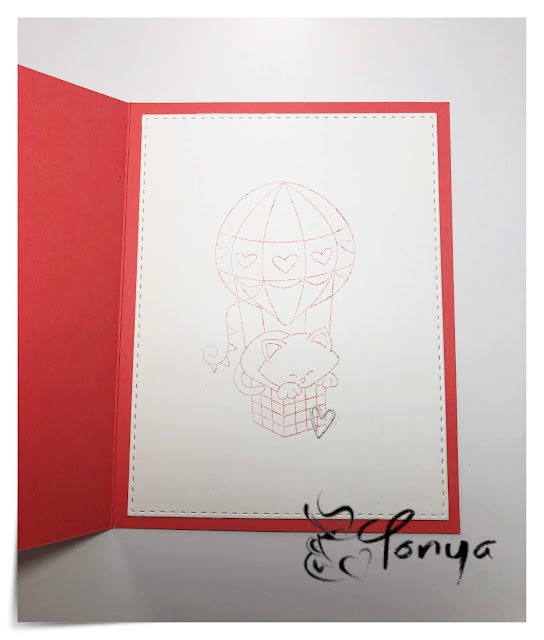 I stamped the image (second generation) in PTI Berry Sorbet ink to match the card base. And a small glitter heart to coordinate with the card front. It's been a while since I've posted. My life was turned upside down July 2018 when my husband was diagnosed with Stage 4 cancer. So, I took time off to take care of him and our family. After almost 18 months of living with the diagnosis, the last scans he had showed no active cancer! Yay!! So with him feeling better and our family settling back down, I can get back to my love of crafting. 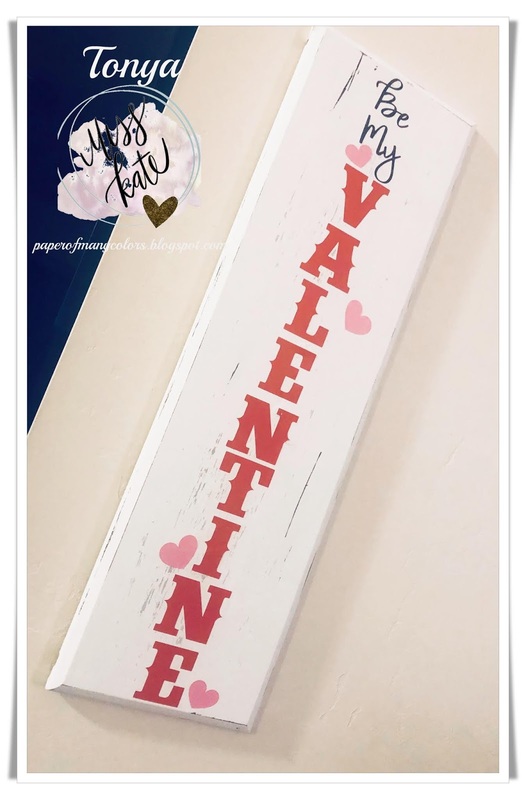 My first project to share is a home decor project. 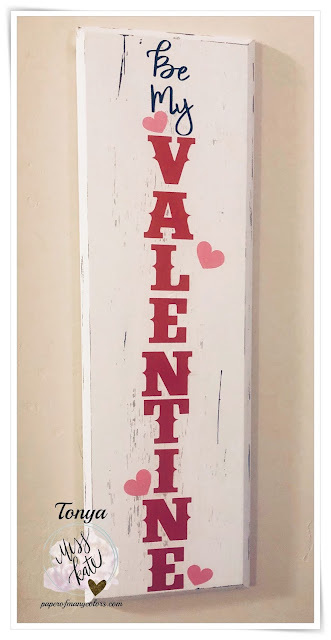 For the base of the hanging, I used an old dresser drawer front I had. I painted it with several layers of white acrylic paint. I created the design in Silhouette Studio using Miss Kate's Valentine Subway Art cut file and Miss Betsy Font. The design was cut with Oracal 651. When transferring the vinyl to the board, the transfer tape pulled up portions of the paint. It was a wonderful accident. It gave the piece a different distressed look.